Many iPhone users desire for a smartwatch which may not specifically be the latest Apple Watch Series 4 and Series 3 which is not in everyone’s taste and hardly the most wallet-friendly. However, there are other Wear OS smartwatches compatible with iOS in the market with features of Cupertino’s device has yet to include. Which too many options of Wear OS smartwatches, iPhone users have plenty of choices based on their required and desired features and software. If you find the new Apple Watch Series 4 and Apple watch Series 3 too expensive or maybe a watch with just a little more sportive and perfect look, the below are the best apple watch alternatives of Wear OS smartwatches to pick from which seamlessly will sync with your iPhone with no fuss. Samsung Gear Sport is an upgrade to the Gear S2 bringing it closer to the Apple Watch’s sports tracking. It offers strong notification support as the S3, Samsung Pay and Spotify offline playlist support. It has a rotating bezel is still there to navigate Samsung’s Tizen OS and still manages to eke out more battery life than the Watch Series 3. It, however, doesn’t have LTE support, but the users are recommended to go for Gear S3 which is a worthy alternative to the Apple Watch. The watch is water resistant with a wireless charging dock and a travel adapter. 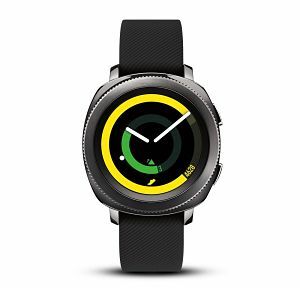 The watch is available for $299 which can be bought at Samsung store, or online at Amazon, and also using the below mentioned websites. If Samsung or OS wear does not do for you, then Fitbit’s latest smartwatch is always there to consider and its all about fitness. Its got a waterproof design along with swim tracking and a heart rate monitor to measure workout intensity. 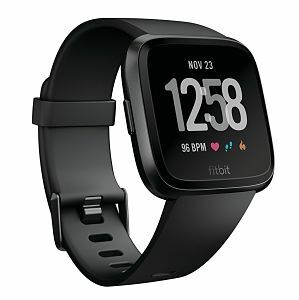 However, it does not have a built-in GPS and if you require it, Fitbit Iconic comes with its tracking features including the best sleep monitoring feature of any wrist-worn wearable. Concerning the smartwatch features, it supports notifications from messages and other third-party applications. Which includes replying also if connected to an Android phone and has an onboard music player with support for Deezer, storing 300+ songs or by downloading stations from Pandora. Also, the user can download the application from Fitbit’s app store which also supports contactless payment support via Fitbit Pay. The user can access more than 15 exercise modes like running, cycling etc., with also personalized on-screen coaching on the screen, to coach the user through each move. It works with Android, iOS and Windows smartphones with a battery life up to 5 days which the user doesn’t have to charge every night. This watch is a strong alternative with a strong array of sensors loaded in it and also a sleep apnea detection is promised possibly in the next version of the watch. Ticwatch E is a plucky smartwatch with a demise of Pebble. This is the best smartwatch under $200, with an Android Wear 2.0 and as a solid alternative to the Apple Watch. It comes with a 1.4-inch OLED display and a solid 400 x 400 resolution which matched with the Apple Watch’s screen. The new sport and quirky design is a relief to all the boring and monotony designs of the same old brands but with certainty and stability of a Wear OS. It works directly with the Google Assistant, and phones call only compatible with Android devices now, whereas the other features can be used for iOS too. The battery status will be indicated rightly, and the watch can be used until the battery gets empty. It is suggested that the users charge the watch up to full for 1-3 cycles and if there is an abnormal battery capacity like a sudden drop or short battery life, then you charge the watch for more two hours before you start using it. 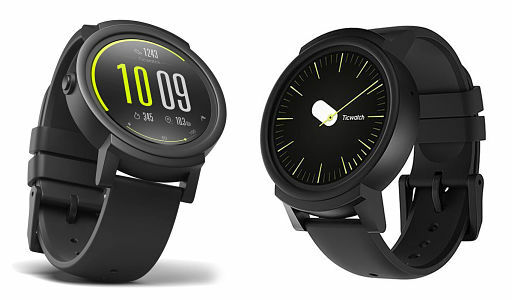 The Ticwatch Pro is out to be released soon and the users, if the patient to buy a better version, are advised to wait. The next stop on the tour in finding the best smartwatches for iPhone is the Wear OS all-rounder, the LG Watch Sport. 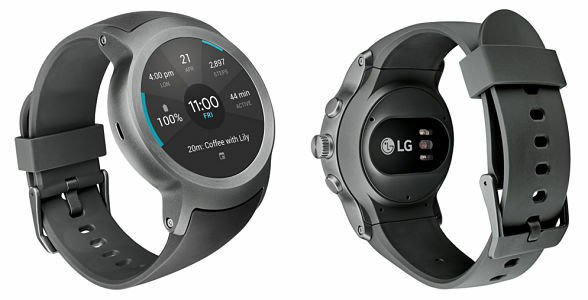 LG almost has all its devices flag shipped, and the LG sports watch is a flagship device for the revamped Wear 2.0 with solid-fitness chops, and a built-in GPS with an untethered experience away from the user’s smartphone via LTE and also to make NFC payments. It also has a theatre mode with Quick Settings to turn the display on or off. If you are interested and want to buy a do-it-all smartwatch, then you can go for much worse than the good-looking, clever flagship LG Watch Sports smartwatch. Fossil’s Michael Kors collection is definitely stand out above the rest and Fossil is currently serving some of the best options right now. 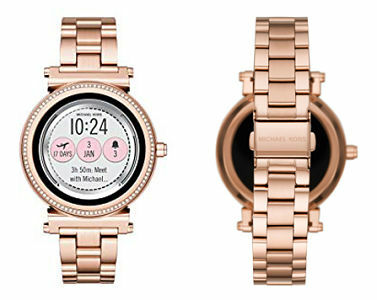 The Michael Kors collection is available in versions for men and women as Grayson and Sofie respectively, featuring 1.39-inch, 454 x 454-pixel AMOLED touchscreen display and it runs on the latest version of Google’s smartwatch operating system, meaning which the user may enjoy all the new features such as downloading applications with a Google Assistant and more customizable watch faces. There are no sports tracking features, and unfortunately, NFC is lacking as well due to which the user cannot buy stuff with this smartwatch. However, the watch gives you the basic Wear OS experience wrapped in a design that you would certainly want to have it around your wrist. If not Michael Kors, then you are recommended to go check out the other Fossil favorites or Skagen Falster. The Garmin Fenix 5 is a beast of a fitness tracker first, and a smartwatch second. This sports watch is made for people who are fitness addicts and constantly drive bike, Run or go on hikes. The overall diameter of the watch is 47mm with a 1.2-inch diameter screen. It’s a little thick, and about 4mm thicker than the apple watch series 2, but it’s manageable. In this watch, there is a heart rate sensor that is very low profile to the case but does a great job of consistently and accurately detecting your heart rate. 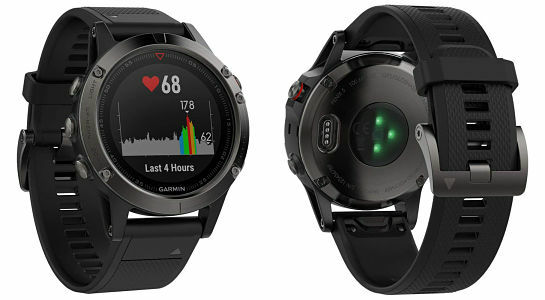 The base Garmin Fenix 5 also comes with silicone wristbands that are very comfortable and perfect for working out in. If you could take this watch out with some wireless earphones, listen to some music while you run and leave your phone behind. If you do decide to pick it up, you won’t be disappointed because this is the best smartwatches for iPhone users.